2. New Lands Law of octaves:When elements were arranged in order of their increasing relative atomic masses. The properties of every eight elements were similar to the first one, like the eighth note of a musical scale.This repetition in the properties of elements is just like the repetition of eighth node in an octave of music. 3. Mendeleev's Periodic Law:The physical and chemical properties of elements are the periodic function of their atomic masses. 4. Mendeleev's Periodic Table:When mendeleev started his work, 63 elements were known at that time. He selected hydrogen and oxygen as they are very reactive and formed compounds with most elements. Mendeleev's periodic table contains vertical columns called groups and horizontal rows called periods. There were 7 periods and 8 groups. Noble gases were not known at that time. So there was no group of noble gases.The elements in each group of the periodic tables are similar to one another in many properties. The similar properties of the elements are repeated periodically. · Could predict the properties of several elements on the basis of their position in the periodic table. · Could accommodate noble gases when they were discovered. The correct position could not be assigned to the hydrogen in the periodic table. The position of isotopes could not be explained. Uncertainty in prediction of new elements was there. 5. Modern periodic law: Properties of elements are the periodic function of their atomic number. 6. 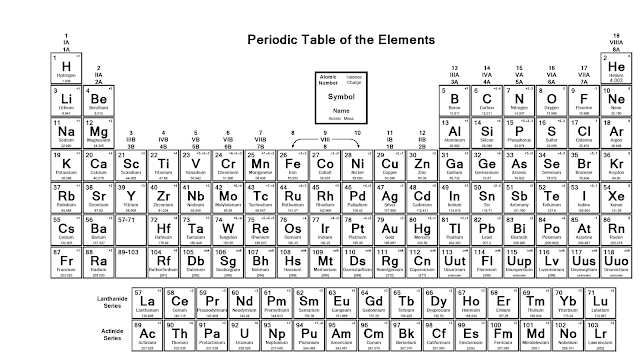 Modern Periodic Table: This table was prepared was Bohr and is based upon the electronic configuration of elements. The table consists of 18 vertical columns called groups Elements having similar outer electronic configurations in their atoms are arranged in vertical columns, referred to as groups . According to the recommendation of International Union of Pure and Applied Chemistry (IUPAC), the groups are numbered from 1 to 18 and the table consists of 7 horizontal rows called periods. The first period contains 2 elements. The subsequent periods consists of 8, 8, 18, 18 and 32 elements, respectively. The seventh period is incomplete and like the sixth period would have a theoretical maximum (on the basis of quantum numbers) of 32 elements. 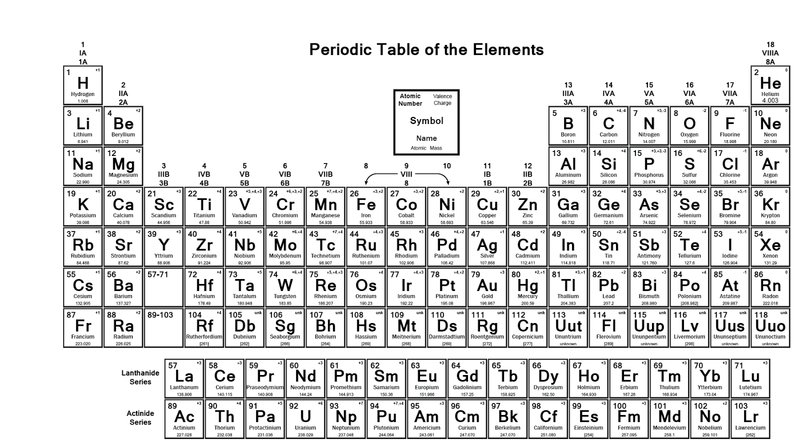 In this form of the Periodic Table, 14 elements of both sixth and seventh periods (lanthanoids and actinoids, respectively) are placed in separate panels at the bottom. 7. Notation for IUPAC Nomenclature of Element With Z > 100.